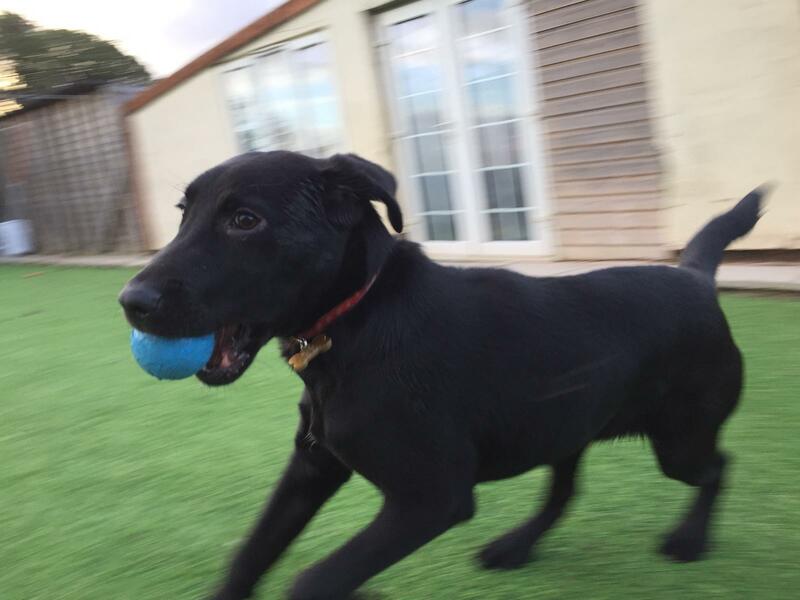 Our Doggy Day Care service ensures that there are no more stressed or anxious pups being left at home all day long, and no more little accidents or chewed furniture to greet you on your return home! 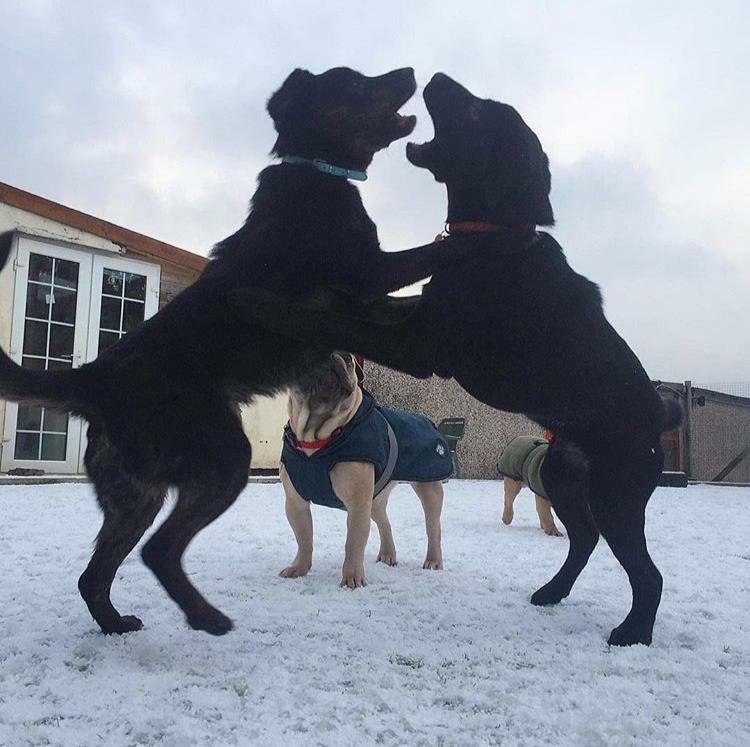 We don’t simply bundle all our Doggy Day Care dogs into one room, all to fend for themselves (because that wouldn’t be fun for anyone!). 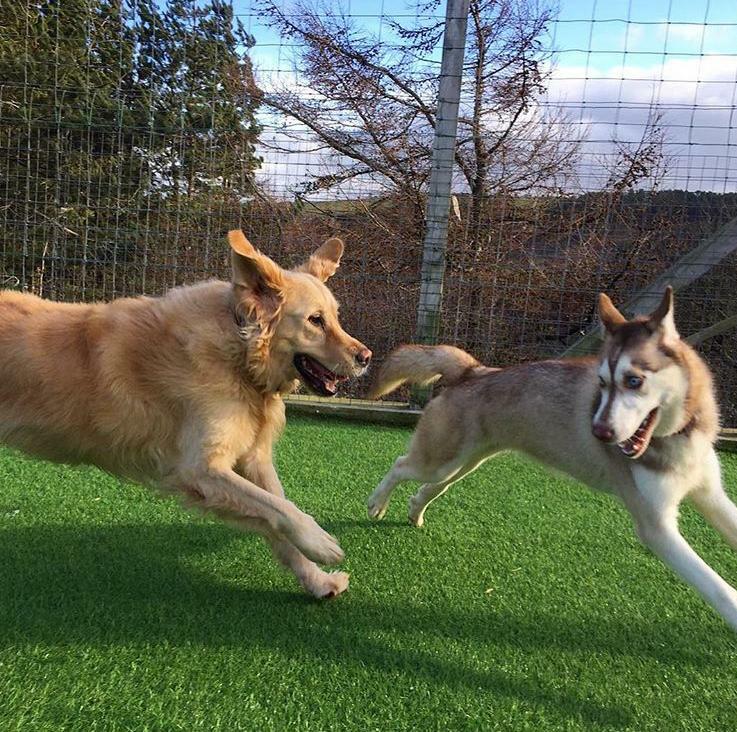 We ensure that we accommodate your pups’ requirements so that they get the most comfort and of course fun out of their day! If your pup is sociable, we can match them with dogs of similar size and temperament so that they have the ability to make friends for life and release their built-up energy. 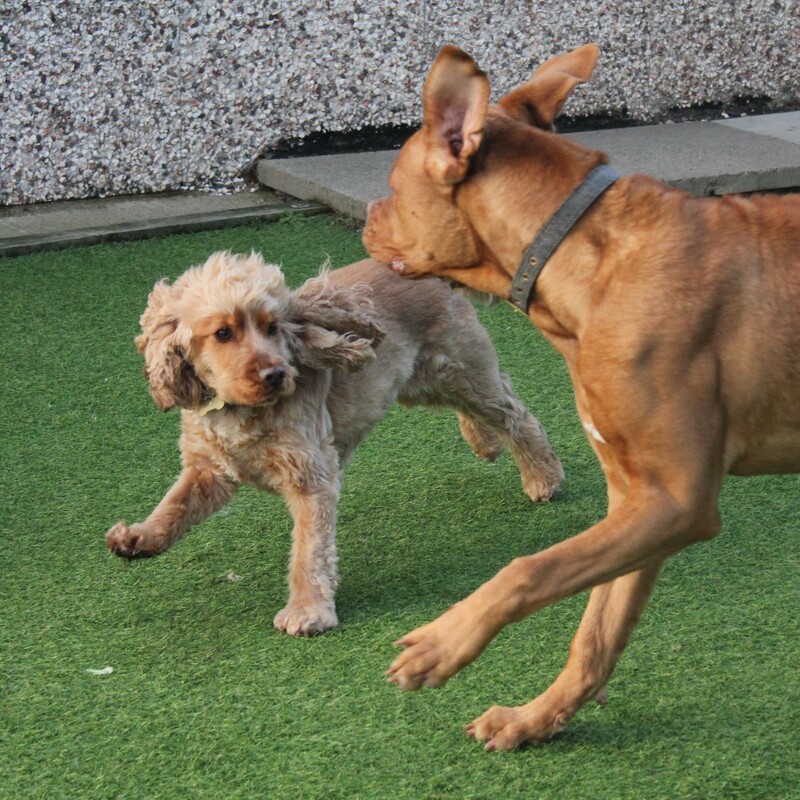 If your pup is more nervous around others, we also take this into consideration and ensure they are never out of their comfort zone and enjoy a stress-free day care experience. 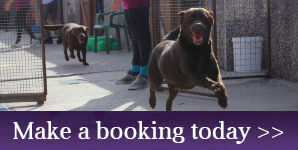 Doggy Day Care runs from the morning until the evening and starts at just £9.00 per day. With drop off times as early as 8am during the week (with prior arrangement ONLY) and pick up between 5-6pm, we try to be flexible and accommodate working pet owners the best we can! On weekends, day care starts from 8:30am. 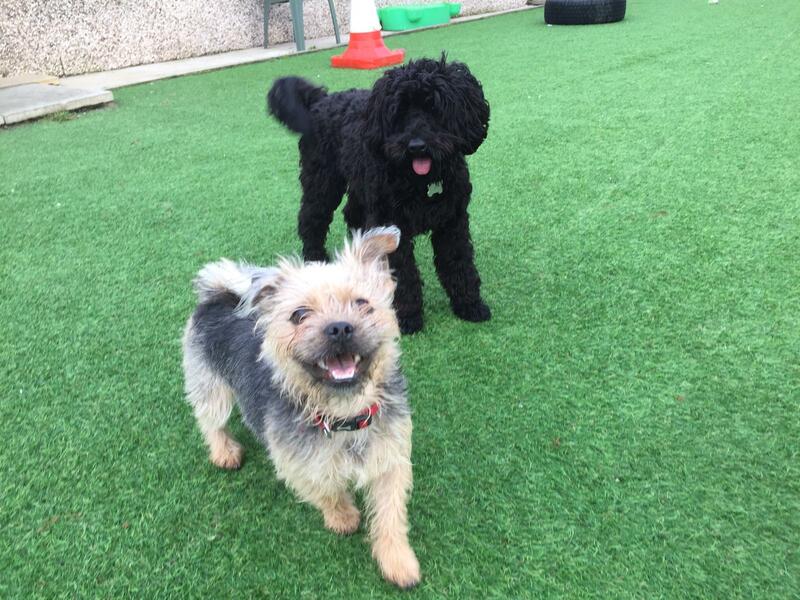 Our Day Care pups can enjoy a walk at a small extra cost of £1.75 or can simply enjoy exercise on one of our AstroTurf’s or yard areas three times a day. 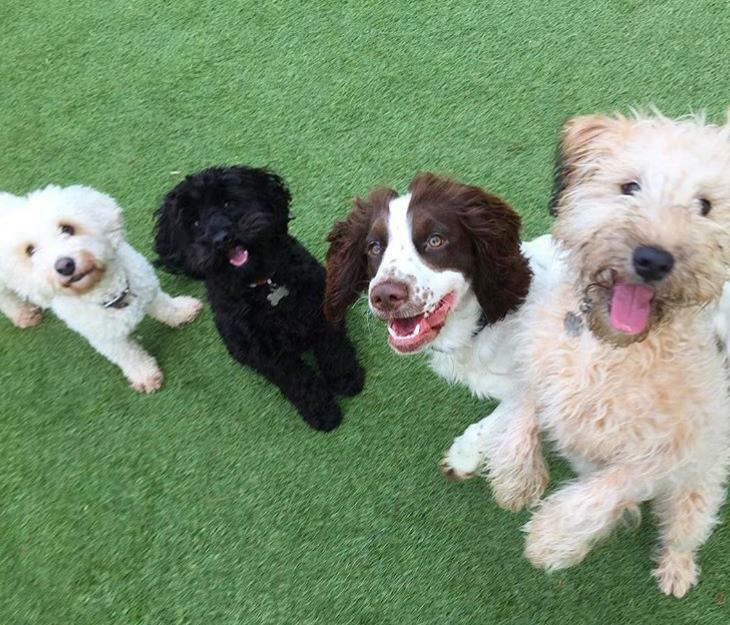 To enquire about availability, please do not hesitate to contact us, we would love for your dog to join our Doggy Day Care gang!